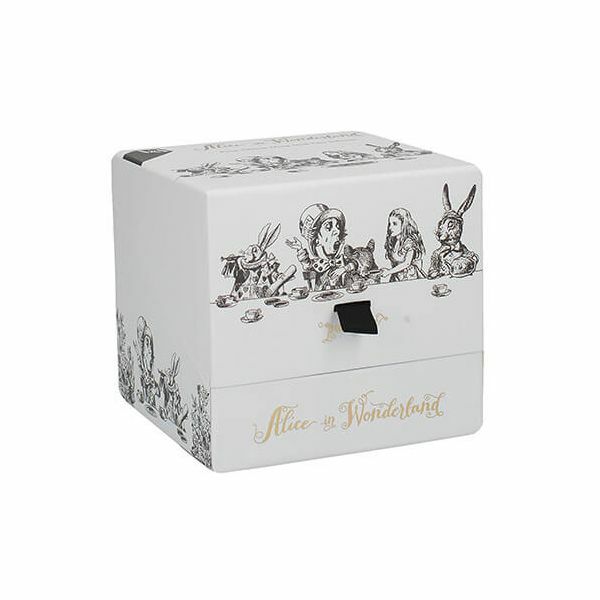 Beautifully made from fine bone china this Victoria & Albert high tea gift set is illustrated with scenes from the original Alice in Wonderland book. 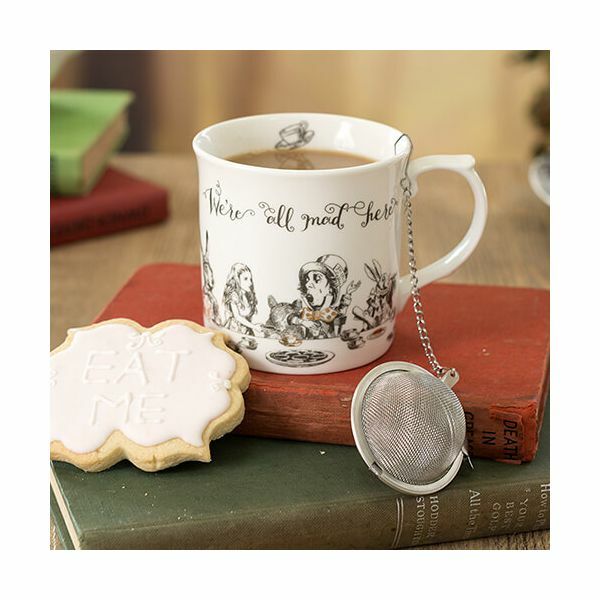 Portraying the well-known Mad Hatter's Tea Party in hand drawn illustrations with luxury gold decal including the words 'we're all mad here'. 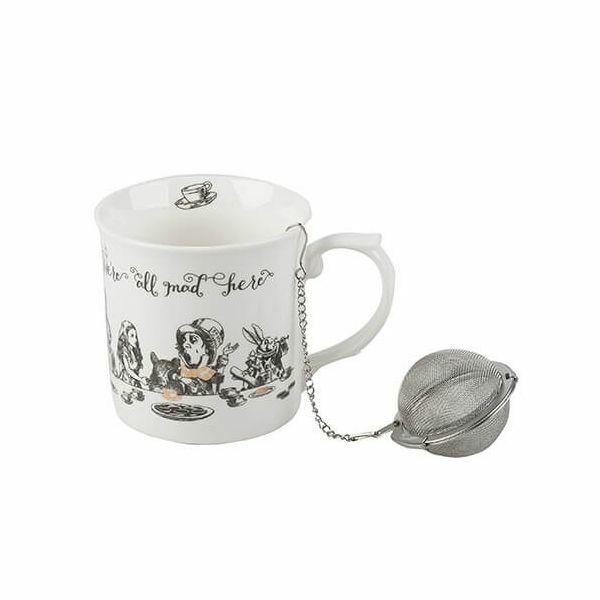 This stunning mini teapot is presented in gorgeous illustrated packaging with a puzzle enclosed to begin your adventure.